AT&T today said customers can place orders for the Samsung Gear S3 Frontier smartwatch beginning November 4. The wearable, announced by Samsung earlier this year, supports AT&T's NumberSync service, which allows owners to use their main number to make/receive calls and send/receive messages from the watch. AT&T also says the S3 Frontier is the first wearable to support controls for its DirecTV and Digital Life services. 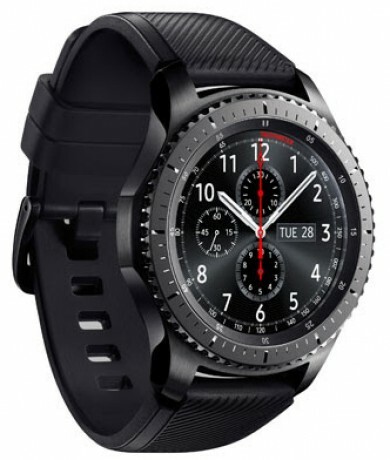 For example, the Gear S3 Frontier can serve as a remote for DirecTV, allowing subscribers to watch and record shows, change channels, and pause/rewind programming. Together with the AT&T Digital Life app, S3 Frontier owners can set alarms, view camera images, and lock doors. The Tizen-based Gear S3 features a 46mm face with 1.3-inch round display, Exynos 7270 processor powers, 768MB of RAM, 4 GB of storage, and a 380mAh battery that Samsung claims can provide three to four days of uptime. The Gear S3 adds full support for Samsung Pay, including NFC and MST for mobile payments. AT&T is offering the watch for $17.50 per month for 20 months when purchased on an AT&T Next plan, or for $49.99 when purchased with a two-year agreement and a Samsung Galaxy smartphone on an AT&T Next plan. AT&T didn't say when the wearable will ship. Apple this week announced the Apple Watch Series 3 with an optional cellular radio. The LTE radio makes it possible for the smartwatch to connect to cellular networks on its own, without a nearby iPhone. Hope this sucker doesn't blow up on your wrist!